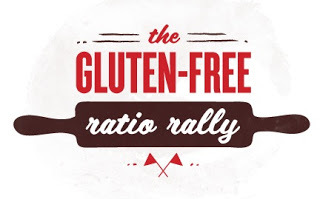 Several months ago, a growing group of gluten-free bloggers began the Ratio Rally. Each month, they focus on a particular baking challenge…pancakes, muffins, and this month, scones. The idea is that each “item” is based upon a particular ratio of ingredients, of flour to liquid to fat to eggs. A ratio is a relationship, an expression of relative quantities. If you know the base ratio for a recipe, you can scale it up or down at will. In theory you can swap ingredients, as long as you remain true to the ratio. Ratios are a powerful tool for baking, but they also have limitations. A ratio doesn’t tell you how many servings a recipe will make. If you choose grams as your base unit, your recipe might feed a few people. If you choose kilograms as your base unit, your recipe might make enough to open a bakery. Ratios also typically don’t tell you how much baking powder, or salt, or vanilla a recipe requires. The beauty of ratios, though, is that they give you a framework, a guideline, for building your own recipes. 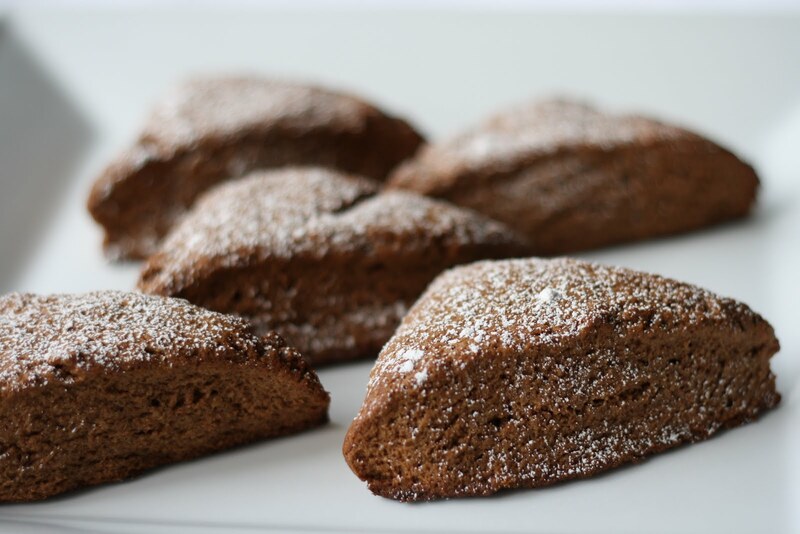 What if you found a great scone recipe, and wanted to create your own new scone recipe with different flavors, different flours, perhaps a dairy-free or egg-free version. The ratio gives you a starting point to do just that. Which is partly the purpose of the rally. Hopefully you’re inspired to use the ratio in your own kitchen to bake some delicious gluten-free goodies. And hopefully the collection of bloggers participating in the rally show you that it can be done (and at the very least leave you with a long list of delicious recipes!). This month, we join the rally and get in on the fun! 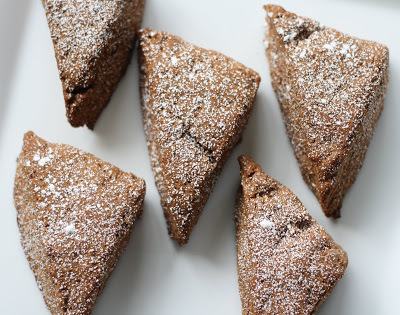 When we found that scones were the theme for this month, I immediately thought of mesquite. Before you jump to conclusions, I’m not talking about mesquite wood chips that you use in your barbeque. And I’m not talking about the fake mesquite flavor that’s added to many store-bought barbeque sauces. Rather, I’m talking about mesquite flour. Made from the dried and ground beans of mesquite pods, mesquite flour is almost a powder. It tastes naturally sweet, and our mesquite has hints of chocolate and cinnamon to it. I was really inspired by a November 2009 media trip to Arizona, where I met several chefs who were active in the resurgence of native American Southwest cooking. They were rediscovering local ingredients that had sustained Native Americans for centuries, and bringing them to contemporary American cuisine. Mesquite is one of those ingredients. It is naturally rich in calcium, magnesium, iron, potassium, zinc, and soluble fiber. It’s high in protein. It’s considered great for diabetics, thanks to its low glycemic index. And importantly, it’s naturally gluten-free. The Andes have quinoa as their native gluten-free superfood. North America has mesquite. Fortuitously, about a month ago the folks at Casa de Fruta sent us a gratis sample pack of their mesquite flour to test and review in recipes. It costs about $10 per pound, which puts it roughly on par with almond flour. But mesquite is seldom used as the sole flour. Usually, it’s used to replace a portion of the flour called for in a recipe. Recommendations vary, but so far we’ve found that replacing 20% of the flour in a recipe with mesquite works well. 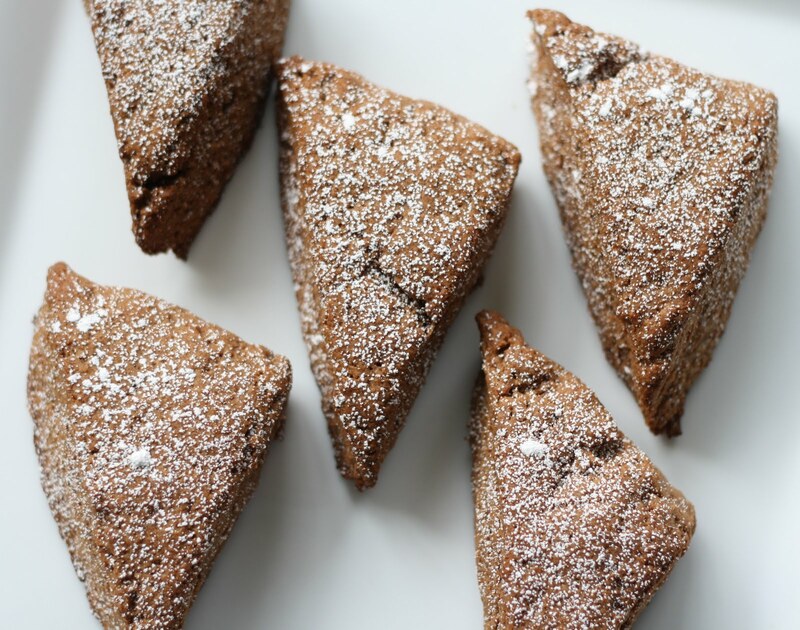 For these mesquite scones, we used the chocolate chip scone recipe on page 25 of our cookbook, Artisanal Gluten-Free Cooking, as a starting point. Then we modified the recipe to incorporate the mesquite and to yield a clean ratio. Our scone ratio is 4 parts flour : 2 parts liquid : 1.5 parts fat : 1 part egg. True to our style of gluten-free baking and the needs of a good scone, we used heavy cream for the liquid and butter for the fat. The result is a scone with a moist, tender and flaky crumb, just as you’d expect. 2. In a large bowl, mix the flour, xanthan gum, baking powder, and sugar. 4. In a separate bowl, mix together the cream, egg, and vanilla. 5. Add to the flour mixture, and work until it forms a dough. (Using a spoon at first, and then your hands, works best.) Let rest for about 2 minutes. 7. Place the scones on an ungreased cookie sheet at least 1 inch apart. 9. Remove from the cookie sheet and let cool on a wire rack. 10. Lightly dust each scone with powdered sugar. This recipe is: gluten-free, peanut-free, tree-nut-free, fish-free, shellfish-free. This month’s rally is being hosted by Lauren over at Celiac Teen. Be sure to check out her blog. 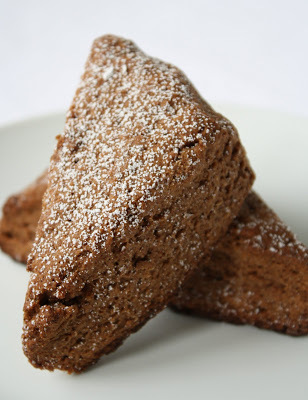 Also don’t miss the other scone recipes that are part of this month’s Gluten-Free Ratio Rally. Lauren’s blog post has a list of more than 30(!) bloggers and recipes that’ll have you baking scones ’till the cows come home. Coming up next month: pate a choux! But for now, enjoy these scones, and get baking! Your scones came out beautifully! I’ve never used mesquite flour but will put it on my list of gluten free flours to try. I love mesquite – especially with chocolate. I wouldn’t have thought to use it with a scone. I have to try it – it looks incredible! I’ve been wanting to try mesquite flour – trying it for the first time with chocolate – how could I go wrong? Lovely texture also. 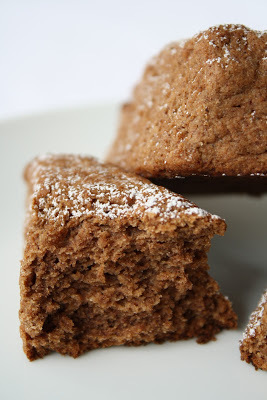 I’ve never worked with mesquite flour, but these would certainly be cause to try it out! Wonderful texture. I’ve never heard of mesquite flour before, I will have to find this! The scones look wonderful. I just so happen to have some mesquite flour in my pantry that I’ve been itching to use! I’ll have to give this recipe a go soon. Thanks for the compliments everyone! Enjoy the scones! Can’t wait to try the many other flavors and recipes you all developed! I’ve done these twice now and they came out very well. The only addition I made was a pinch of salt. One thing for readers who make this recipe: It says it makes 8 small scones. My scones measured approximately 3″x 3″ and I got 13 out of the recipe. Just to let people know that they may not need to double the recipe to get more than 8. Thanks for the ratio work. I look forward to using this ratio with all the unique gluten free flours you used.